The sun rose twice. The stars blanketed the sky for hours reflecting on the ocean’s skin. 15 hours of natural beauty, and that was just the flight over. The final destination was just as remarkable as the journey. The minute you touch down and enter the airport, you’re embraced by hosts and hostesses that take absolute pride in their country. The country is well retrofitted with the finest cars and fashion for every citizen. The driver and I zip to the metropolis and gaze at the beautiful architecture that seemed way before it’s time. Beautiful glass and colors light the evening sky. 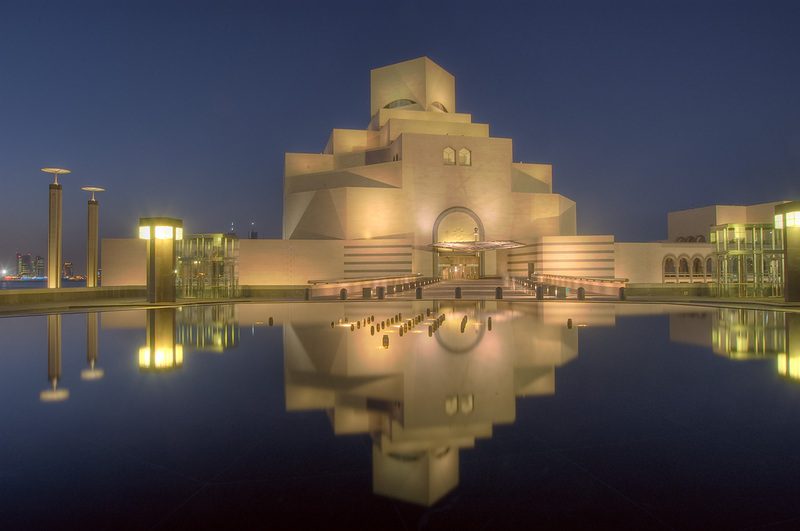 Being a tourist destination for many, Doha is full of places to visit and things to do. Whether you’re shopping at the Villagio Mall, visiting the Museum of Islamic Art or the Souq Waqif, there is something for everyone. Qataris are some of the most dignified, warm and content people I’ve had the pleasure to encounter. Everything from their attire to the fine cuisine is something magnificent to behold. If travel is something you love doing, then visiting Doha must be on the top of your list. If it’s number 11, bump off one and make the switch accordingly. I'm a creative director living in Atlanta. Formally trained at the Georgia Institute of Technology in Architecture, and currently pursuing with a M.F.A in Graphic Design at SCAD. When not a designer of things, you can find me at your nearest international airport traveling the highways of the sky. And oh yeh, I'm a pretty decent jumper.